All-Star pitcher who won both the AL MVP and AL Cy Young Award with the Detroit Tigers in 2011. 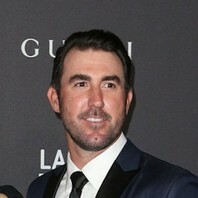 He was named American League Rookie of the Year in 2006 and was selected to the AL All-Star game six times from 2007 to 2013. In 2017, he was traded to the Houston Astros, and he went on to help the Astros claim their first ever World Series title that year.